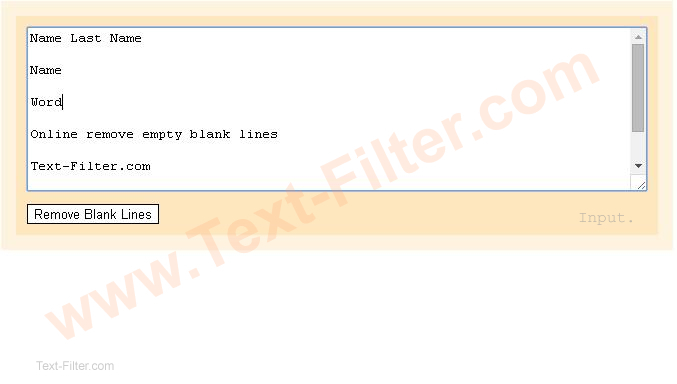 ï»¿ Free Online Online Remove Blank Lines, Delete Blank Lines, Empty Blank Lines. Free, Online Remove/Delete Blank Lines . Free, Online Remove/Delete/Empty Blank Lines. 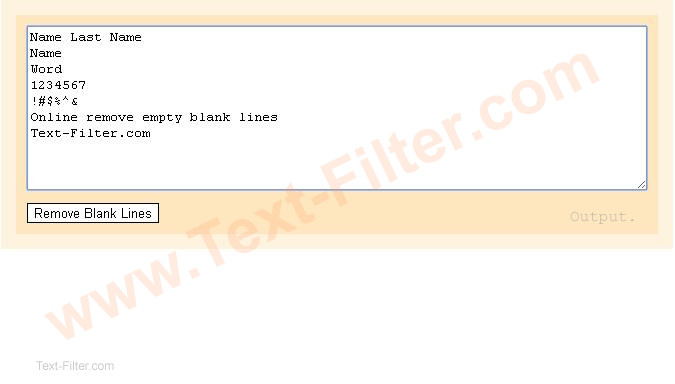 Simply copy and paste your Text into the "Text-Area" & Click "Remove Blank Lines". Sort a list Alphabetically | Sort a list Numerically | Sort a list Natural.